Columbia University Press, 9780231116510, 224pp. Internationally renowned as one of the great French philosophers of the twentieth century, the late Emmanuel Levinas remains a pivotal figure across the humanistic disciplines for his insistence--against the grain of Western philosophical tradition--on the primacy of ethics in philosophical investigation. This first English translation of a series of twelve essays known as Alterity and Transcendence offers a unique glimpse of Levinas defining his own place in the history of philosophy. Published by a mature thinker between 1967 and 1989, these works exhibit a refreshingly accessible perspective that seasoned admirers and newcomers will appreciate. In today's world, where religious conceptions of exalted higher powers are constantly called into question by theoretical investigation and by the powerful influence of science and technology on our understanding of the universe, has the notion of transcendence been stripped of its significance? In Levinas's incisive model, transcendence is indeed alive--not in any notion of our relationship to a mysterious, sacred realm but in the idea of our worldly, subjective relationships to others. Without presupposing an intimate knowledge of the history of philosophy, Levinas explores the ways in which Plotinus, Descartes, Husserl, and Heidegger have encountered the question of transcendence. In discourses on the concepts of totality and infinity, he locates his own thinking in the context of pre-Socratic philosophers, Aristotle, Leibniz, Spinoza, Kant, and Descartes. Always centering his discussions on the idea of interpersonal relations as the basis of transcendence, Levinas reflects on the rights of individuals (and how they are inextricably linked to those of others), the concept of peace, and the dialogic nature of philosophy. Finally, in interviews conducted by Christian Chabanis and Angelo Bianchi, Levinas responds to key questions not directly addressed in his writings. 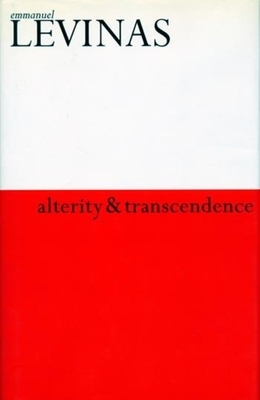 Throughout, Alterity and Transcendence reveals a commitment to ethics as first philosophy--obliging modern thinkers to investigate not merely the true but the good. Emmanuel Levinas (1906-1995), a pioneer of the phenomenological method, exerted profound influence on prominent postmodern thinkers including Derrida, Lyotard, Finkielkraut, Irigaray, and Blanchot. Among his seminal works that have been translated into English are Entre Nous (Columbia, 1998), Ethics and Infinity, Totality and Infinity, Time and the Other, and Existence and Existents.Michael B. Smith is professor of French and philosophy at Berry College in Georgia. He has translated several of Levinas's works, including Outside the Subject, In the Time of Nations, and Proper Names, and, with Barbara Harshav, Entre Nous (Columbia, 1998).